Humans need touch. It starts when we’re babies, when the need for loving human contact is almost as vital as the need for food. And it continues as we mature. 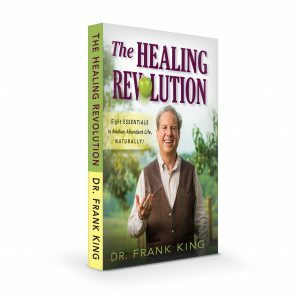 In this section of The Healing Revolution, I share the art and science of therapeutic human touch that I’ve developed over the past four decades. These techniques can help you reach higher levels of health, wholeness, and happiness. Work with a healing buddy. Find someone – your spouse, or even a friend – who shares your passion for health, healing, and wholeness. Most of the healing Hands On Techniques can be performed by yourself, but some may require another set of hands. Use Bio-Response Testing (BRT). BRT works like a truth detector to help you discover and discern what’s helpful or harmful to your life and health. This video shows you how to do it. Tap into Potential (“TIP”). Tap Into Potential, or “TIP”, is a powerful tool for change. It reprograms negative beliefs and habits and turns them into healthy ones. Learn how to implement this amazing technique here. Care for your spine. Joseph Pilates famously said, “A man is only as old as his spinal column … If your spine is inflexibly stiff at 30, you are old. If it is completely flexible at 60, you are young.” In The Healing Revolution, I highlight effective spinal massage and stretching techniques designed to keep you youthful and healthy. Many of my patients have awakened their health and vitality through these Hands On Techniques. You can, too!